One year ago the XPages community decided to use StackOverflow for XPages related questions. Since then 1000 XPages tagged questions have been asked with a 84% answer rate and lot's of responses/comments. Personally I think this is a huge success and a big value add for XPages developers. One of the goals has been to reach out to other communities and leverage their expertise and services. For example the nice thing with XPages being based on Java is now that other Java developers have helped XPages developers with Java related questions. 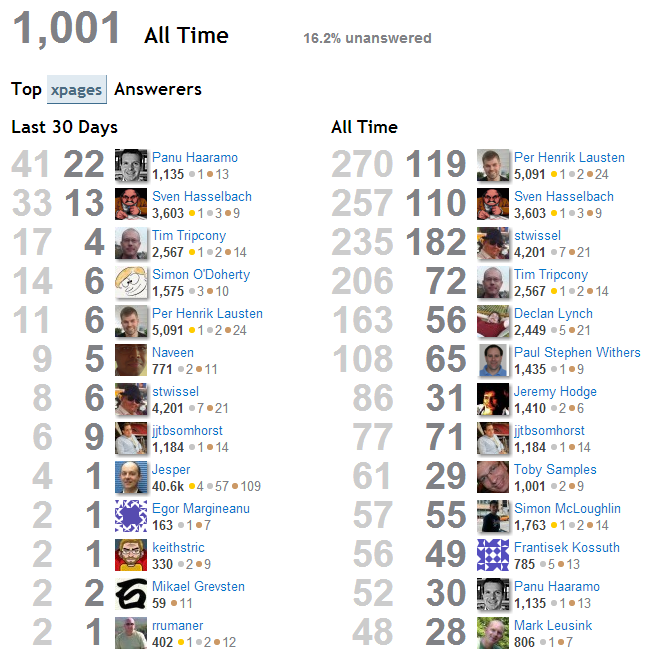 I want to thank all StackOverflow contributors ! Community rocks !